I was at work one night and went outside to smoke a cigarette. As I sat down in the patio chair at the table and lit one up, I noticed this bat sitting in the tree about 100 feet away from me. It was a moonlit night so I could make out his form as he sat perched on the thick branches. It wasn’t a normal bat, though. This thing was huge. If it were on the ground, I’d have to say he was probably several feet tall. I remember feeling very uneasy...very. I knew that as sure as I sat watching him, he was watching me. I smoked the 120s, the extra-long cigarettes so half of the smoke later, I decided to put it out and go inside. I was becoming increasingly more uncomfortable. All of a sudden, the bat flew away. He spread his wings and took off soaring into the sky. His wingspan had to have been six-eight feet wide. I quickly put out my smoke and went inside the facility. I don’t always tell people what happens when things happen because I like to think about it and process it in my head first. That’s what I did with this information; I kept it to myself for now. I went out a couple of hours later and the same thing happened. This time, though, the bat turned completely around to look at me. Apparently, when I walked outside, he had his back to me. I pulled the chair away from the table and closer to the door as I sat down to smoke another cigarette. I saw him turning around. There was no mistaking what he was doing. I truly did not know if I was seeing what I was seeing. I thought I was completely wrong and what I was seeing was not real so, I sat down to smoke my cigarette. Quietly, as we looked at one another, I started thinking about his expansive wings and questioning my own recollection of them. However, as if reading my thoughts, the bat took off in flight again. This particular time, he flew around in a circle, as if showing me his wings were real, and then resumed his perch on the branch. I jumped up and went back inside. I was scared to death because I realized, I had not been imagining anything at all. Needless to say, I had decided that in the future, I would take my smoke breaks elsewhere. I went in and the nurse from the other nursing station saw my face. She and her orderly were at the nurses’ desk talking as I was passing by when I ran into the building. “There’s plenty of them around here, too,” Robert added, also laughing. I noticed he didn’t stay out there too long. I was still at the nurses’ desk talking to my co-worker when he came back inside. And, he didn’t say anything about it, either, for about ten years. Robert and I were hanging out together one day (he was a family friend) and I brought up the bat creature. Robert laughed and shook his head. “What happened, Robert? Did you see it?” I inquired. Neither of us knew what it was. 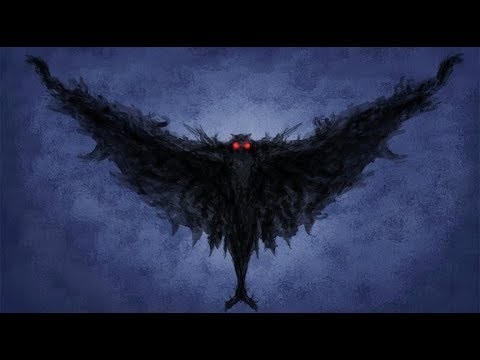 A year or two later, the movie, The Mothman Prophecies came out and we both wondered if what we saw was a Mothman. It never bothered us, as in, it didn’t haunt us or cause us bad luck, even though it was very evident and very present. Sometimes I think about the creature, even now, and wonder if maybe it was because we didn’t pose a threat to it. We just accepted it was there and let it be. I will say this, though, Robert nor I, ever saw it again after that night.